Tim Curry as Pennywise in a 1990 TV adaptation of Stephen King's It. Come on, tell us you aren't just a little creeped out. 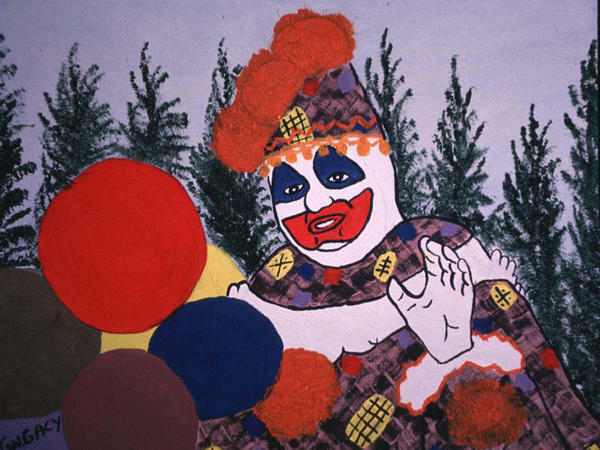 John Wayne Gacy painted this portrait of himself in character as Pogo the clown. Warning: The following story may be upsetting to some people. That's because it's about clowns. Yes, clowns. Painted white faces, red lips, receding hairlines with tufts of wild hair, and — of course — the red foam nose. Fun for all ages, yet plenty of people are downright scared of them. There's even a word for it: coulrophobia, though that's not an official diagnosis. Theories about why clowns are frightening have been offered over the years. Writer Linda Rodriguez McRobbie explores them at length in this month's Smithsonian Magazine, in an article called "The History and Psychology of Clowns Being Scary." McRobbie tells NPR's Audie Cornish that she's not afraid of clowns — not exactly: "The bigger thing, though, is that I just don't find them funny." And, she points out, it's important to remember that clowns were considered adult entertainment when they first appeared. "At the end of the 18th and the beginning of the 19th century, there were really two guys who sort of began the modern clowning movement. In London you had Joseph Grimaldi, who was a clown from the theatrical tradition, the pantomime tradition. And on the continent, the sort of leading clown, starting from around the 1830s, was a guy called [Jean-Gaspard] Deburau, who was the Pierrot clown ... a silent figure, but very funny. "Grimaldi had a terrible life outside of the theater. His father was an alcoholic and a tyrant, and his wife died in childbirth; his son died an alcoholic at 31; he himself died penniless and alcoholic. Pierrot, on the other hand, was slightly scarier. In 1836, he actually killed a boy who insulted him in the street; he turned around and knocked the kid on the head with his walking stick. He was ultimately acquitted of the murder, but it's a little bit frightening. "So these two characters became almost emblematic of the idea that there's something sinister, something scary, something strange going on underneath all of the makeup." "At this point, clowns are now solely children's entertainment. And that, I think, to some degree makes them even more suspicious. So you have this period where children are being entertained by clowns — clowns are very popular, they're on television ... yet, at the same time, this sort of banality covers up the sort of hard edges that clowns had had before, that we could live with and we could understand, and now they've become this blanketly innocuous thing, and that makes us really suspicious." "He was convicted of 33 counts of murder ... and he was also a clown, and he would entertain at children's parties, at hospitals and places like that. And he once told the investigating officers, you know, 'A clown can get away with anything.' That, I think, really crystallized exactly what was the sort of lurking fear that people had, that you know, someone that works with children in particular, who is this symbol of hilarity, symbol of fun and silliness and innocence, and underneath it can be something truly terrifying ... It was almost open season on clowns after that." "I think there is something fundamentally disturbing to people about someone who covers their face with makeup. The other thing that you hear is that clowns are able to engage in activity that is usually not socially sanctioned, and they don't suffer any consequences for having done it. "It's certainly understandable, although I think at the end of the day, a lot of the fear of clowns actually comes back to the person underneath the makeup. And I think that's something that I saw quite a lot in every point in history, where there was someone who was tragic under their makeup, sinister under their makeup, sadistic under their makeup, and murderous under their makeup. That if the person under the makeup is themselves scary, then the clown's going to be scary." Warning: The following story may be upsetting to some people. That's because it is about clowns. CORNISH: Yes, clowns. Painted white faces, red lips, receding hairlines with tufts of wild hair and, of course, the foam nose. Fun for all ages, yet plenty of people are downright scared of them. Theories about why have been offered over the years and are explored at length in this month's Smithsonian Magazine in an article called "The History and Psychology of Clowns Being Scary." Writer Linda Rodriguez McRobbie joins us in the studio. Welcome. LINDA RODRIGUEZ MCROBBIE: Thank you so much for having me. CORNISH: At the outset, let's be clear. Are you afraid of clowns? MCROBBIE: I am not exactly afraid of them, but I do find them a bit discomforting. The bigger thing, though, is that I just don't find them funny. And that makes me sort of wonder why people do it. If there are a lot of people who don't find them funny, I wonder why they keep doing what they're doing. CORNISH: And so when you start to look into the history of this, is there a particular performer or performers that really are the foundation for the modern clown, as we know it, and possibly the roots of this kind of sinister element? MCROBBIE: Well, at the end of the 18th and the beginning of the 19th century, there were really two guys who sort of began the modern clowning movement. In London you had Joseph Grimaldi, who was a clown from the theatrical tradition, the pantomime tradition. And on the continent, the sort of leading clown, starting from around the 1830s, was a guy called Gaspard Deburau, who was the Pierrot clown, the sort of Harlequin mask, a silent figure, but very funny. Now, Grimaldi, he was the one who really sort of transformed the way the clown looked. He's got the white face paint, and he's got this blue mohawk and bizarre costumes, things like that. Pierrot is kind of a silent clown in the tradition of, say, Charlie Chaplin, almost. CORNISH: And both of these figures have somewhat tragic personal stories. CORNISH: But they're adult entertainers, essentially. MCROBBIE: Mm-hmm. Exactly. Grimaldi had a terrible life outside of the theater. His father was an alcoholic and a tyrant, and his wife died in childbirth. His son died an alcoholic at 31. He himself died penniless and alcoholic. Now, Pierrot, on the other hand, was slightly scarier. He - in 1836, he actually killed a boy who insulted him on the street. He turned around and knocked the kid on the head with his walking stick. He was ultimately acquitted of the murder, but it's a little bit frightening to know that this guy who makes you laugh and he's under the makeup, and this is what he does. This is his outside life. So these two characters became almost emblematic of the idea that there's something sinister, something scary, something strange going on underneath all of the makeup. CORNISH: So we're going to fast forward a little bit to the U.S., specifically in the period of the 1950s to 1960s, because this is when it seems like clowns get a shiny, happy makeover. And we see Bozo and Clarabell and Ronald McDonald. UNIDENTIFIED MAN #1: Wowee. And a great, big Bozo good morning to all my pals in Summit, Delaware. CORNISH: Talk about this period. Is this actually the anomaly when it comes to clowns? MCROBBIE: At this point, clowns are now solely children's entertainment. And that, I think, to some degree makes them even more suspicious. So you have this period where children are being entertained by clowns. Clowns are very popular. They're on television. You've got Bozo the Clown. You know, there's a 10-year waiting list for getting on to see his show. Yet at the same time, this sort of banality covers up all of the hard edges that clowns had had before that we could live with and we could understand. And now, they've become this sort of blanketly innocuous thing, and that makes us really suspicious. While the clowns' sort of heyday is going on, there are some other really scary real-life clowns that are kind of giving clowns a bad name. CORNISH: And the most famous of this, obviously, in the decade later is John Wayne Gacy. UNIDENTIFIED MAN #3: He returned home one night and found Gacy drunk and dressed in his clown costume. Gacy invited Cram to join him for a drink. The men had a few Mai Tais, then Gacy tricked Cram into the handcuffs. MCROBBIE: I think he was convicted of 33 counts of murder and he was executed in 1994 for those. He was also a clown, and he would entertain at children's parties, at hospitals and places like that. And he once told the investigating officers, you know, a clown can get away with anything. That, I think, really crystallized exactly what was the sort of lurking fear that people had, that, you know, someone who works with children, in particular, who is this symbol of hilarity, symbol of fun and silliness and innocence, and underneath it can be something truly terrifying. CORNISH: So John Wayne Gacy really ushers in a whole new era, right, in terms of how clowns are depicted in the popular culture? MCROBBIE: Yeah. It was sort of almost open season on clowns after that. I think the seeds of the scary clown had really been germinating, especially in people who had probably grown up with clowns. So by now, they're in their 20s and 30s, and they're producing the kind of media that is tapping into the things that perhaps they were a little bit uncomfortable with or afraid by when they were small. And so you have, for example, "Poltergeist." MCROBBIE: The little boy's clown toy drags him underneath the bed. And then you have, of course, Stephen King's "It." CORNISH: ...that attacks small kids. 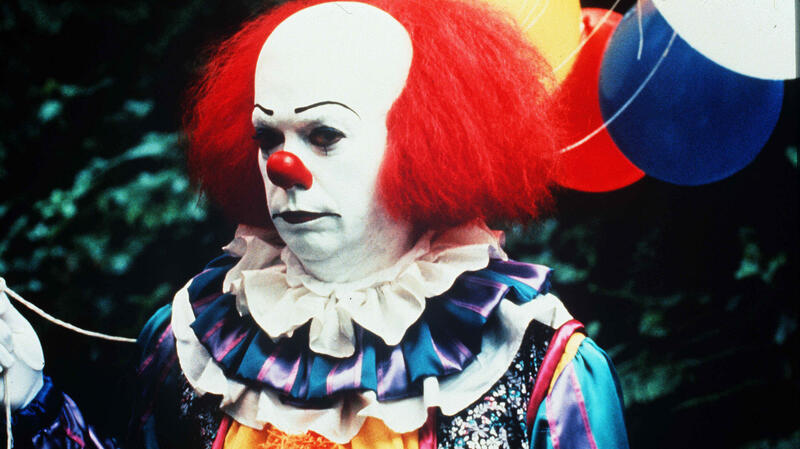 TIM CURRY: (as Pennywise the Dancing Clown) I'm Pennywise, the dancing clown. Don't you want a balloon? CORNISH: The idea of people being afraid of clowns, is it because of fiction, or is there something fundamentally disturbing about what clowns are doing? MCROBBIE: I think there is something fundamentally disturbing to people about someone who covers their face with makeup. The other thing that you hear is that clowns are able to engage in activity that is usually not socially sanctioned, you know, go over and touch someone inappropriately or squirt water in their face. You know, these are things that most people wouldn't ever do. But as a clown, they're given free rein to do that. And I think that actually disturbs quite a lot of people. CORNISH: In the end, did you find that this fear of clowns is basically pretty rational? MCROBBIE: A little bit. It's certainly understandable, although I think at the end of the day, a lot of the fear of clowns actually comes back to the person underneath the makeup. And I think that's something that I saw quite a lot in every point in history where there was someone who, if the person under the makeup is themselves scary, then the clown's going to be scary. CORNISH: ...and don't have any murderous instincts. CORNISH: You know, we painted a pretty rough picture here. MCROBBIE: Yeah. There are good clowns. I'm sure of it. Sure of it. CORNISH: Well, Linda Rodriguez McRobbie, thank you so much for talking with us. 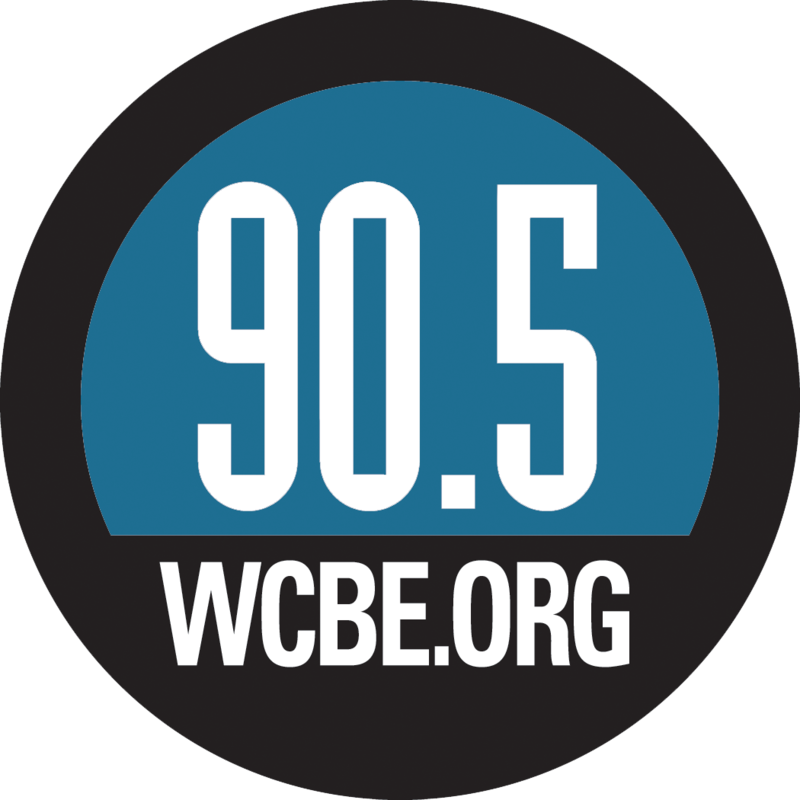 MCROBBIE: Thanks so much for having me here. CORNISH: Her article appears in this month's Smithsonian magazine. It's called "The History and Psychology of Clowns Being Scary." BLOCK: This is NPR. Transcript provided by NPR, Copyright NPR.